If you’re in the mood to pamper yourself, it’s true that one of your best options is to take a weekend spa break. Although there are a number of great spas in France, today we’re going to look at spas throughout Europe, all easily accessible from France. One of the best things about living in France is the fact that most of Europe is only a few hours away by plane or train. And yes, you can get really cheap tickets if you book in advance with low-cost airlines such as Ryanair and Easyjet, among others. If you’re looking to avoid the long airport waiting times and have the time, consider taking the train to travel Europe and actually make the journey part of your holiday. When we think of spas and thermal baths in Europe, the picture that comes to mind is often society’s elite on vacation, residing in seasonal palaces and dining at great feasts. However, the past few decades have seen spa culture take on another form – one that is much more open to the masses. Today’s spa locations are for everyone and the idea is sparking tourism all over the continent. With a new generation interested in visiting some of the formerly famous baths and spa retreats, a resurgence in tourism and development is changing how we think about a typical spa vacation. Try to imagine the perfect European spa city and what do you see? Probably a small town alpine mountain setting, with steamy thermal baths, skiing, amazing food, and countless other luxuries. For a place perfectly fitting that description, Leukerbad in Switzerland is the most likely candidate. With a population of under 2,000 people, the town is small and offers an intimate feeling that simply cannot be found in larger spa towns. As a testament to its draw, almost 40% of the town’s residents are foreigners who have relocated (just like we did!) to enjoy the waters year-round rather than just on vacations. 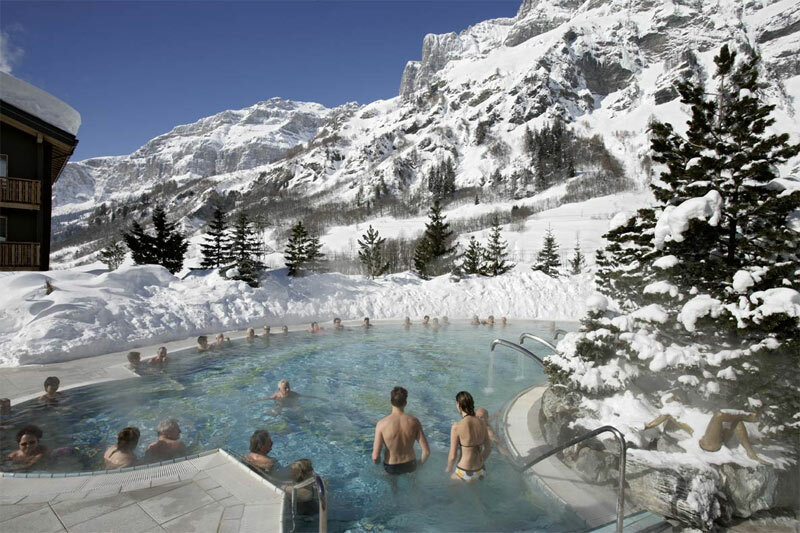 Accommodation in Leukerbad can be pricey, but access to the spas is meant to be affordable. While many of the thermal spas are connected to private hotels and only available for guests, the best of the public offerings is definitely Burgerbad hotel and spa. Costing about $30 for an all-day visit, the sprawling complex features tons of pools, some with temperatures pushing up to 50 degrees Celsius. Burgerbad is also family-friendly, with children under the age of 8 being admitted free. If you like getting to the heart of spa culture, then Leukerbad is an excellent place to start and will open the door to other European spa locations. Not to be confused with Switzerland’s Baden or Germany’s Baden-Baden (both of which are also nice spa towns to visit), Austria’s own Baden bei Wien is a city on the rise when it comes to spa tourism. Casually known as the Monte Carlo of Eastern Europe, visitors flock from all corners of the continent to bathe in the waters and try their hand at the famous Casino Baden, which has also played host to live gaming events, such as the European Poker Tour (EPT), a prestigious series of poker tournaments, which began in 2004 and is still going very strong. Casino Baden offers a variety of games, including blackjack, roulette and a number of poker variants. Bathing facilities at Baden might not be as complete as those in Leukerbad, but the serene atmosphere and relaxing settings are what draw in the crowds and make Baden one of the best spa cities in Europe. 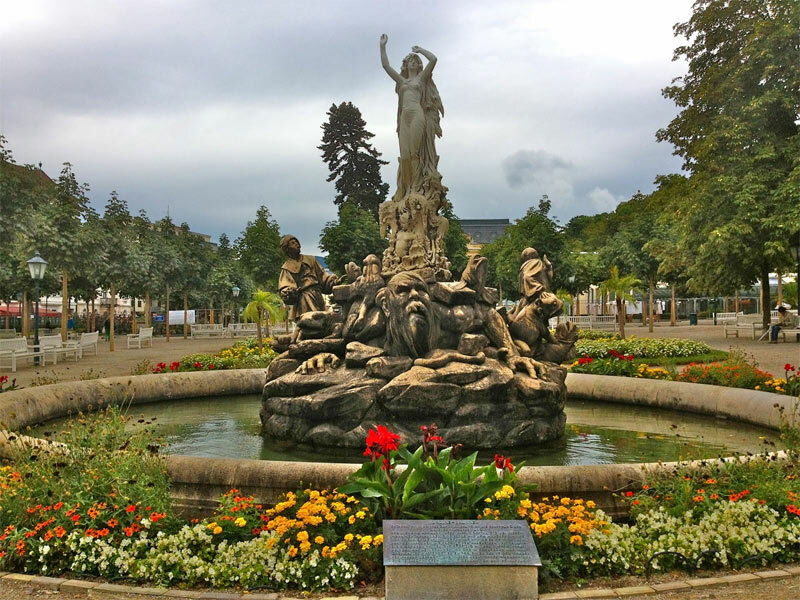 Baden was a favourite vacation spot for composers Mozart and Beethoven and has continued to be a retreat for Europe’s elite. On a trip here, keep your eyes open and you may be able to spot some celebrities on their holiday. If you’re trying to go the budget route, keep in mind that like Leukerbad, restaurant prices in Baden are not the cheapest. One good option to keep expenses down is to buy food from local markets and plan a picnic in one of the city’s many parks or green spaces. Moving a hop, skip, and a jump to the east, it’s no secret that Budapest (known as The City of Spas) has become one of the most visited cities on the continent, combining a grand mix of history, architecture, nightlife, and spas. The Hungarian capital actually used to be three cities, which unified in only 1873. While it’s a bit difficult to call Budapest a “spa city,” the truth is that the spas here are on par with any other place in Europe and the number of annual visitors has made it a must-do on any traveller’s checklist. For a truly wild night, check out one of the spa parties, when the baths open their doors all night and essentially turn into a club for the evening, drawing both tourists and locals to the festivities. Gellert Bath is arguably the most famous of the many spas on offer, with an impressive 13 pools of different temperatures. Throw in an artificial wave pool, saunas, massage services, and incredible architecture and it’s easy to see why it’s a hotspot (pun intended) year-round. While Gellert might be the most famous, the largest is clearly Szechenyi. With a metro stop at its front door, the 18 pools of Szechenyi are easy to reach from any point in the city and offer many of the same services as Gellert. The waters at Szechenyi are recommended for joint problems but have been known to help with many other ailments as well. If a quieter place is more your thing, then be sure to pay a visit to Lukacs. A bit out-of-the-way on the Pest side, those that make the trip will be rewarded by a serene atmosphere and a more intimate spa feel. If you’re looking for something a bit more off the beaten path, then the best-hidden value spa city could easily be Romania’s Baile Herculane. Known mostly to locals and Hungarian tourists, this small city nestled in the picturesque Cerna River Valley has been a refuge for people seeking the healing waters for literally ages. 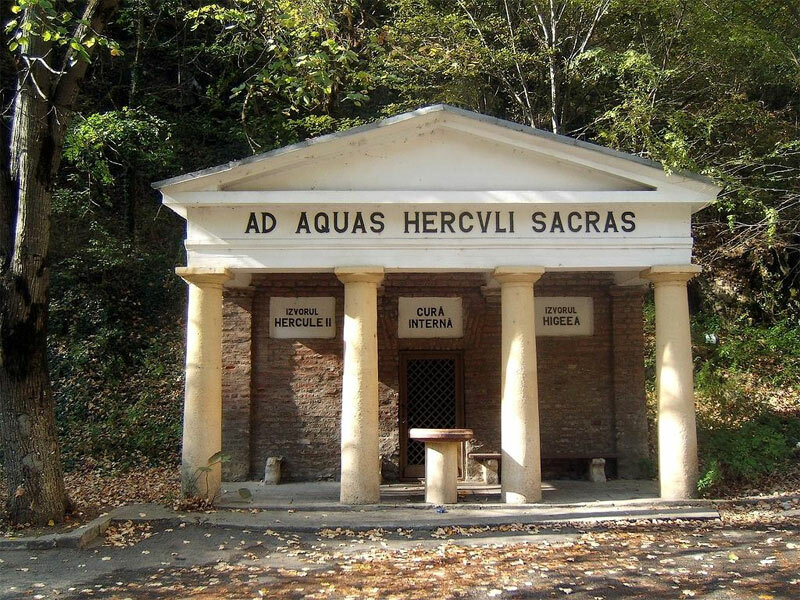 Inhabited since the Paleolithic era, the resort area rose to prominence during Roman occupation during the early second and third century A.D., with the legend being the Hercules himself stopped to rest and take in the mineral springs. In modern times, Baile Herculane has been neglected, leaving a multitude of impressive abandoned architecture and communist-style resort hotels. This may sound like a turn-off, but actually, the opposite is true. Prices are extremely cheap given the quality of the thermal baths and a vacation here would cost only a fraction of other locations like Baden. However, development has started recently and word is getting out about this hidden gem. A massive casino is currently under construction and it’s only a matter of time before it starts to appear on the standard tourist trail. Take our advice and go there now while the getting is still good. At the eastern end of Europe is Turkey, where there are many stand-out attractions, including Istanbul – a massive sprawling city well-known for the Grand Bazaar, Hagia Sophia, and of course, the spas. 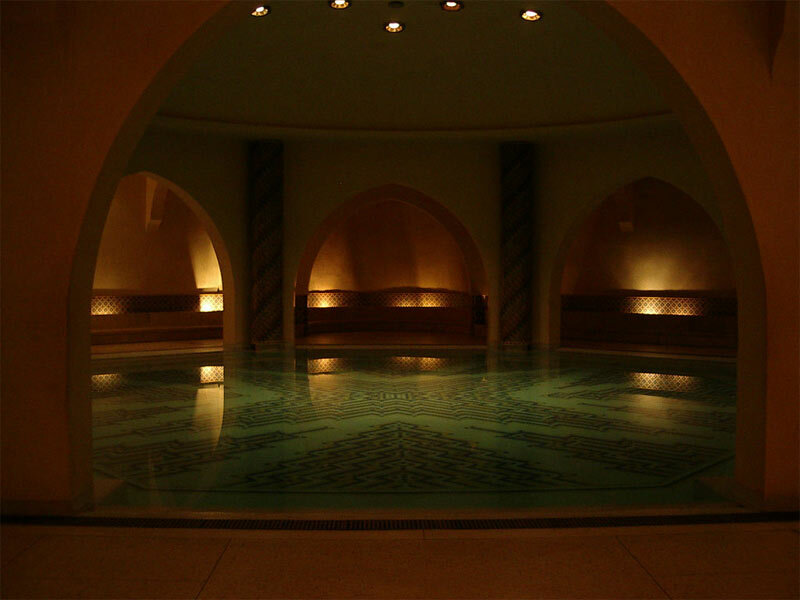 Some would even go so far as to say that the Turks invented the modern idea of the spa, with Turkish hammams influencing thermal baths the world over. In the older districts of Istanbul like Sultanahmet and Beyoglu, you’ll literally find hammams all over the place. While we would advise checking out a local neighbourhood option for an authentic experience, you can also go to one of the hammams that cater to the tourist trade, such as Cemberlitas, Cagaloglu, or Suleymaniye. Before checking into an Istanbul hammam, it may help to know that procedures here follow a more strict protocol than in other places. For the full treatment, you’ll start in a dry, warm room that should get you perspiring to release toxins. After working up a little sweat, you’ll move to the hot room – if you’re not accustomed to this type of heat, expect to be releasing fluids like nobody’s business. A wash in cold water prepares you for a massage to work out those tired muscles and the spa treatment ends with a bit of R&R in a cooling room. The entire process often takes several hours to complete but will rejuvenate you and get you ready for the next leg of your travels. Throw a stone in Europe and you’re likely to hit a spa – there really are that many of them. At the same time, separating the wheat from the chaff is another matter and going to the wrong spa could lead to disappointment. When in doubt, choose one of the options above and you’ll see why spa culture continues to thrive all across the continent. Depending on your preference, you may want to combine your spa holiday with a ski holiday or another attraction. Whether it is for a couple of days or longer, go for it: you won’t be disappointed.